Undergraduate students: If you are curious about quantum optics and think of specializing in this field in the future, just visit us at your convenience so we can see if there is a project that would suit your interests and abilities. Internships: Opportunities for long-term (4-12 months) research visits are available to senior international students. We may be able to offer partial financial support. The Department also sponsors a student exchange program with some European institutions. Please contact us if interested. Prospective graduate students: In order to do your Master’s or PhD research with us, you have to be officially admitted to the University. Please contact us via email and/or file a formal application with the Department of Physics and Astronomy and the Faculty of Graduate Studies. As a graduate student, you will normally receive a fellowship that includes your tuition, fees and a stipend to cover your living expenses. TOEFL is required from all international students. As a rule, applicants need to submit a Physics GRE score, but this requirement may be waived for physics majors. If you are already a UofC graduate student, please stop by our offices (SB 318, 319) to discuss existing research possibilities. Postdocs: We are inviting applications from talented, highly qualified individuals to supervise several research projects. We are looking for an experimentalist with hands-on experience in at least one of our research areas, i.e. 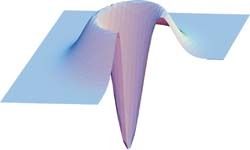 quantum light sources and detectors, quantum light-matter interface, ultracold atoms. The term of employment is one year, with a possibility of extension for an additional year in the case of good performance. Please contact us with your CV if interested.